Forgive me, Lord, if I end up blaspheming in this post. I’m thinking really hard about what I write here. If I’m wrong about anything, please show me. Thanks for inspiring others to invent delete and backspace. Beginnings are a big deal. Not that you can’t have a great ending without a great beginning, but oh man, getting the beginning right often makes things that much easier. It is my duty as a Christian to constantly keep the Life-giver at the forefront of my thoughts. 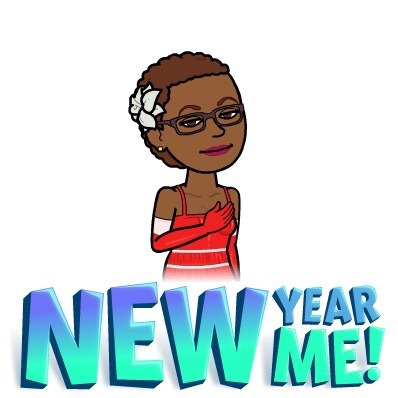 As 2019 has started, I am already finding myself overwhelmed and defeated, although I shared in my last post that I have no objective reason to feel this way. The thing about life is that you can have a great day but then you go to sleep, knowing that you have to set yourself up to have another great day. If tomorrow itself is not guaranteed, surely a great tomorrow is far from certain. So what can I do to not throw in the towel on January 14? Resist. believing that progress is always linear. allowing the evil one to steal my joy. I can only make one good decision at a time. When I pray the Lord’s prayer, I ask for my daily bread – not weekly, not yearly. While I can plan for the future, I cannot know what it holds. I want to honor God with my body. I want to serve others with my gifts, even though I feel so much of the time that I don’t have very much to offer. He can use anyone, even lil Joanie, to accomplish His will, and I definitely don’t want to be in the way. This week, I have 16 miles on the calendar. It has been well over a year since I have run 16 miles in one week and I am terrified. I wasn’t too pleased with how slow my long run was on Saturday, but I am choosing to remind myself that practice for the big day isn’t always going to be pleasurable. I imagine that it’s quite normal for a workout to feel like WORK. It’s not even trying to pretend to be something else. God is my light. I must resist succumbing to the darkness that has already been conquered. The war is won. Would you believe January is practically halfway done? Like so many of us, I started the year with high hopes. Where am I now, you wonder? I’ve lost a pound and have run 19.5 miles. I’m right on track to meet my goal of 1019 km in 2019. I just finished attending a professional development conference where I had a student accepted to an exclusive ensemble, reconnected with old friends, and learned things that I can immediately share with my students upon return to work. Coronation day was this week and I can actually chew on both sides of my mouth again. I wish I could say I am happy. I have this nagging feeling that I am not living up to my potential. I feel stagnated and like everyone else is moving forward except me. I look upon all my education and the faith my parents have had in me to achieve great things and I can’t escape the feeling that I am blowing it majorly. And you know what the worst part is? As miserable as this feeling is, I really don’t feel like working to change any of the circumstance I can. It just sounds like too much work. So not only am I failing, but I’m lazy on top of it. That begs the question – why am I bothering with anything? I don’t feel I have any viable alternative. As long as I am living, I have to try to be healthy and do my best for those around me, even if it doesn’t amount to much. I don’t want to be a complete waste of space. As long as I wake up, I need to show up. It’s this morbid curiosity that keeps me going – perhaps it will be different one of these days. Well. Another new year is upon us. And a whole heap of weight is upon me. Damn. I’m fat again. Of course, I’m mad at myself for allowing such weight gain in the past two years of my life, despite continuing to race. I feel as though I have failed; as the losing all the weight that I did really means nothing because I haven’t been able to keep it off. Each time I log into MyFitnessPal – and am completely honest, re: weight – I feel like a loser (gainer?). Is anything really different this time? I thought it had been, because I’d finally learned that weight management is a process not an event. I thought that because I found an activity that I really enjoy that I would be able to maintain my weight loss within 5 to 10 pounds. It turns out that I am still not over my habit of using food as a way to cope with changes in my life. Marriage, stepchildren, moving. Two weddings (long story)! It was a lot of business. Plus, food still tastes GREAT. Nevertheless, I still need to do something about my current weight, because I am not as healthy as I could be. I think I should be thankful that I am in a place where I recognize that my problem is not so much the fact that I’ve regained weight that I’ve lost but the fact that it was easy for me to do so because of how I deal with change in my life. I also think I have issues with my body image that allow for me to be indifferent as to how I look. It doesn’t seem to matter whether I weigh 150 or 200; I seem to always see a fat person in the mirror. It is much easier to follow a plan and make more good choices than bad than it is to really zero in on what it is that causes me to feel this way. That just might be a beast that I will have to fight for all of my life. 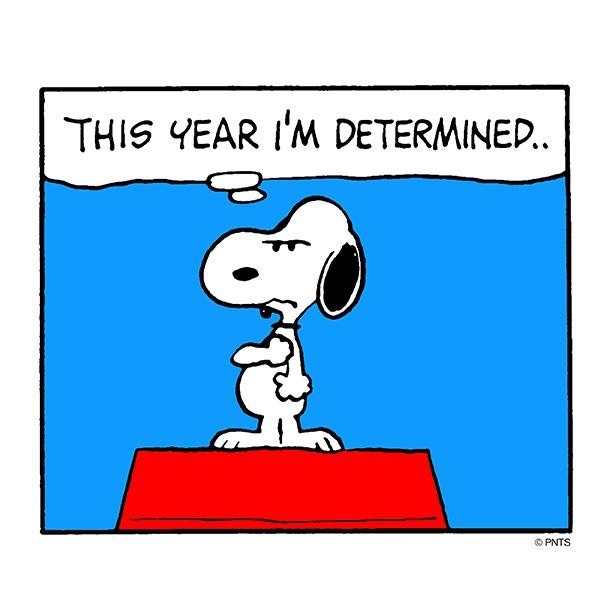 I hope my goals for the year are not incongruent; I would like to run 4 Half marathons and lose 40 pounds. 10 pounds per race. Ha. I will be writing more in the coming week about why I have chosen those particular goals, as well as how I feel I performed in 2016 and meeting those goals. Here’s to not completely screwing up 2017. Happy new year! We all know it’s the same me. I just want to get her into my pants. Says the girl who is eating like it’s Mardi Gras before her training plan starts. Heh. 1. This one is the most important. I know whatever comes below will be executed imperfectly. I resolve to give myself the freedom to be imperfect without beating myself up. 2. To start saving more regularly for my retirement, aka only working 20 hours a week. I don’t think it’s out of the realm of possibility for me to fall over at a piano lesson in my 90s. Poor kid. 3. To put mostly good things into my body to fuel all the things I demand of it. 4. To embrace rather than curse my vulnerability. 5. To put at least 15 minutes a day into housework. (I skipped yesterday and will do 30 today. Heh). 6. To ask for help before the last minute. Even the last two minutes would be better. 7. To lose a currently undefined amount of weight before my first triathlon of the season. This weight is undefined because I refuse to weigh myself before the end of this month. I’m going to make good choices and let the numbers take care of themselves, for now. 8. To do more rigorous study of the Bible. 9. To find ways to save money despite being a teacher AND triathlete. 10. To be a “thermostat” and not a “thermometer.” I was watching a church service on television and the pastor was saying that many people are thermometers, in that they just measure the temperature of their circumstance. A thermostat, in contrast, sets the temperature. I want to be a positive force, regardless of what the circumstance is.